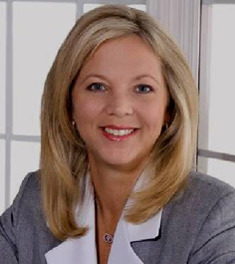 Bonnie J. Jackson is an attorney and shareholder in Jackson Law International. Her law practice focuses on general civil and commercial litigation, including premises liability, malpractice, and general negligence, as well as business torts, breach of contract, landlord/tenant disputes, covenants not to compete, insurance disputes, construction litigation, and real estate litigation. Mrs. Jackson is a graduate of South Texas College of Law (J.D. 1995), and Texas A&M University (B.B.A. 1991). In law school, Mrs. Jackson served as a Director for the Board of Advocates, competed in state and national mock trial competitions, and received honors for her speaking and advocacy skills. Following law school, Bonnie J. Jackson served as an Assistant District Attorney in Houston, Texas where she prosecuted felony, misdemeanor, and juvenile crimes, and prepared reply briefs to post-conviction capital and non-capital writs of habeas corpus. In 1998, Mrs. Jackson relocated to Florida and focused on private practice in the area of general commercial litigation. She has significant jury trial experience, and has also handled bench trials in her areas of expertise. As a result of her work on behalf of her clients, Mrs. Jackson has been inducted as a Life Member into The Million Dollar Advocates Forum, one of the most prestigious groups of trial lawyers in the United States, and also as a Life Member into The Multi-Million Dollar Advocates Forum, an even more select group of attorneys. Membership is limited to attorneys who have won million and multi-million dollar verdicts and settlements, respectively. Fewer than 1% of U.S. attorneys are members of either group. Mrs. Jackson is a Lifetime Charter Member in Rue Ratings’ Best Attorneys of America®. 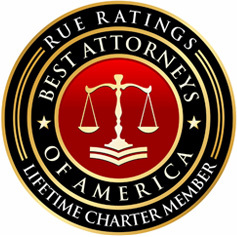 Membership in Rue Ratings’ Best Attorneys of America is extremely selective, carefully screened and limited to the most qualified and accomplished attorneys in the United States. With these high standards, less than one percent (1%) of the attorneys of America have been invited to be a member of Rue Ratings’ Best Attorneys of America. State Courts: All State Courts in the States of Florida and Texas. Federal Courts: United States District Court for the Northern, Middle, and Southern Districts of Florida; United States Court of Appeals for the Eleventh Circuit; United States Court of Appeals for the Third Circuit.